cut in voltage Vγ = 0.65 volts and VBEsat = 0.75 volts. 0.2 volts. 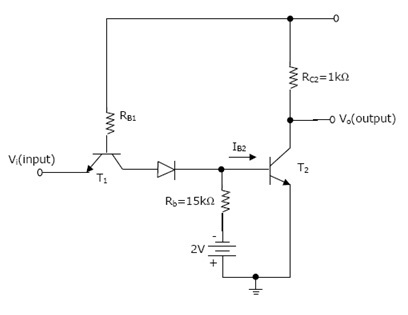 Assume 0.7 volts drop across a conducting PN junction. saturation or in cut off.